Fitbit introduces a new premium coaching and guidance service that will provide you personalized workout routines and more that is all based on your Fitbit data. Will this be worth it? This will be a paid service from Fitbit and it might just help you maximize the effectiveness of your workout and activities to your body. It will be launching with a few new apps, the first being the Fitbit Coach app, a rebrand of the Fitstar Personal Trainer app, with a lot of dynamic workout videos. The second one is the Fitbit Audio Coaching sessions that will help you increase you endurance, speed and form. Fitbit is also launching Guided Health Programs that will help you achieve a positive workout behavior and health outcomes by providing you with step-by-step guidance, personal insights, and rewards. 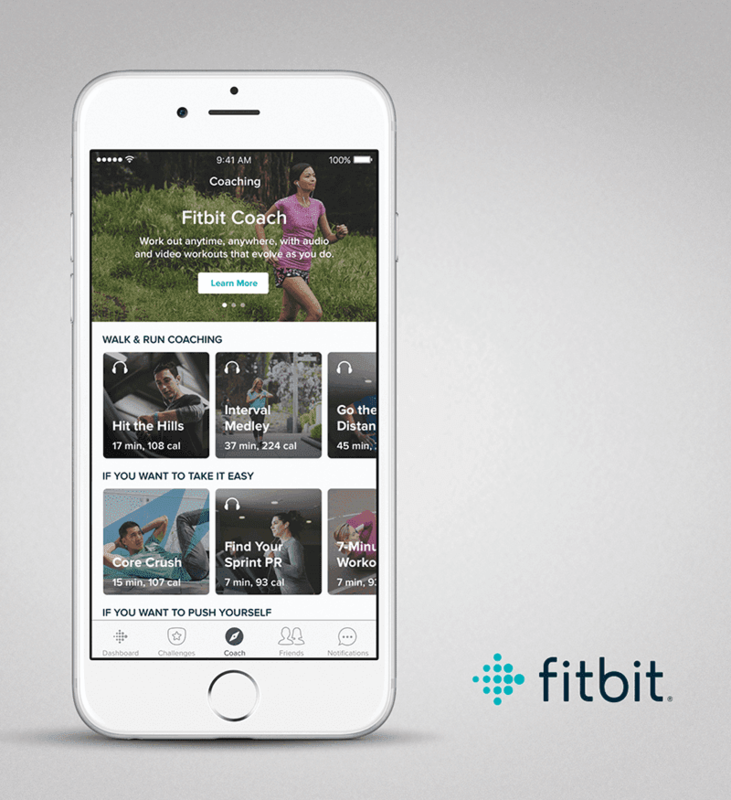 Fitbit's new premium service will look to expand it's workout library in 2018 with constant communication with the Fitbit Advisory Panel. With plans to open the platform to second and third party partners in the future, our premium offering will grow with new content and tools to give users an easy-to-follow path to improve their health. 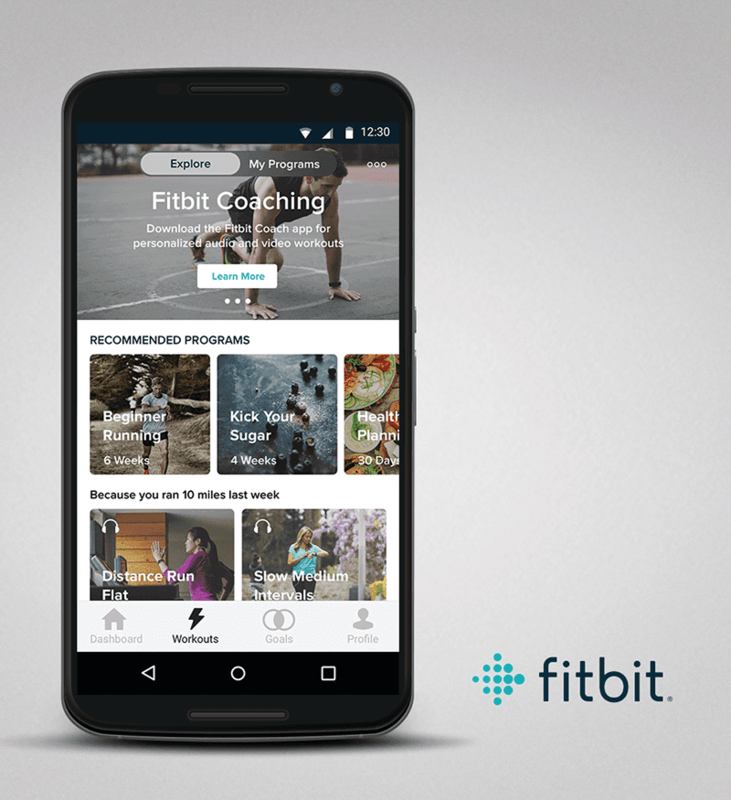 The new Fitbit Coach app will watch your progress by using your Fitbit data to adapt your workout videos and audio choices. 85% of people who moved from Fitstar to Fitbit Coach increased their strength in just five sessions. Data like your body weight will the app to curate a specific workout routine for you. The audio coaching sessions will feature over 40 expertly designed run and walk audio sessions that helps you stay motivated with its varying intensity of workouts. In addition to that, it will have an on-demand workout feature that allows you to choose your workout according to your need at the moment. All of those workout videos and audio sessions will be customized according to duration, difficulty and exercise type. Lastly, the Recommended Workout section will get you the best workout for you in relation to your data. Like if you did a leg workout yesterday, it will suggest workout sessions that target a different part of the body in order for your legs to recover. The Guided Health Programs will support you achieve the best results whether you are trying to run a 5k route or eating healthier. This programs will be a multi-week affair with step-by-step instructions, educational tools, insights and milestones/reward system to give you the drive to the drive to continue on. The first programs available are for fitness and nutrition, with a six-week 'Beginner Running' program that promises to get you from a no stamina runner to a 45-minute continuous runner. The other one is the four-week 'Kick Your Sugar Habit' program that will help you avoid unhealthy sugar intake by telling you which food to avoid and which to consume. Fitbit's new premium service will be available during Fall of 2017 at USD 7.99 (PHP 410) per month or around USD 39.99 (PHP 2,048) per year. The platforms supported will be Android, iOS and Windows. The Audio Coaching will be available with the Fitbit Ionic in 2018 while the Guided Health Programs will be readily available in the "Coach" section of the Fitbit apps this winter. Your own personal coach and workout routine available whenever or wherever you need them? That's pretty interesting. What about you guys? Will you want to try this if given the chance? Let us know in the comments!